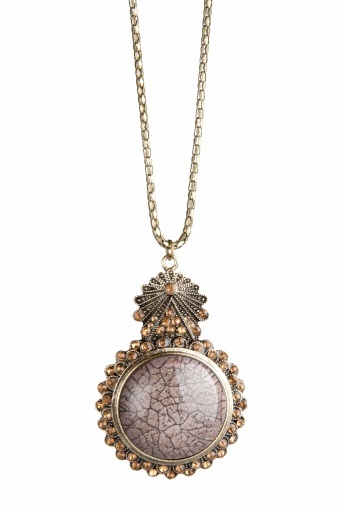 Bohemian Glamour Charm necklace. 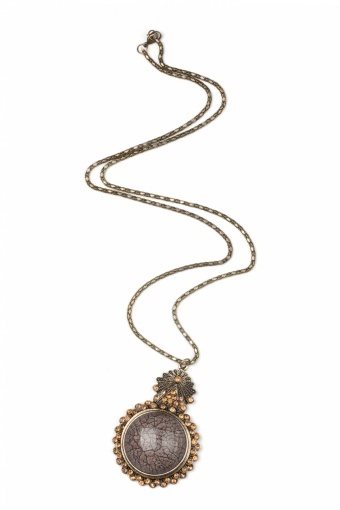 Very stylish long necklace with a chique pendant in 1930s style. 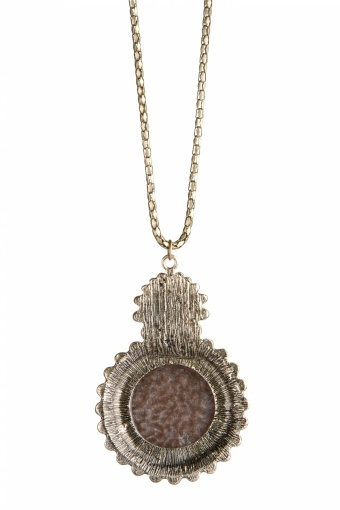 In the middle of the pendant a taupe toned acrylic stone, surrounded by shiny rhinestones in a warm orange brown tone.